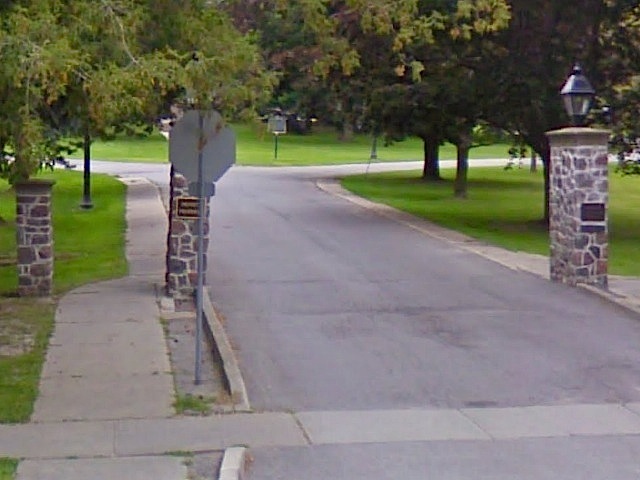 Opened in 1874 by the Governor-General, Lord Dufferin, the Ontario Ladies' College was established in "Trafalgar Castle", former residence of Nelson Gilbert Reynolds, Sheriff of Ontario County. Built in 1859, "Trafalgar Castle" was visited in 1869 by Prince Arthur and Sir John A. Macdonald. The college, under the jurisdiction of the Methodist Church, offered a diploma, and matriculation for university entrance. 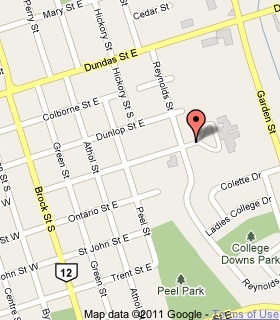 Additions to the school were named in honour of Dr. Egerton Ryerson in 1877 and Lillian Frances Massey Treble in 1895. The Rev. J.J. Hare served the college as principal from its opening until 1915. Guest lecturers at the school included Lucy Maude Montgomery and Bliss Carman. 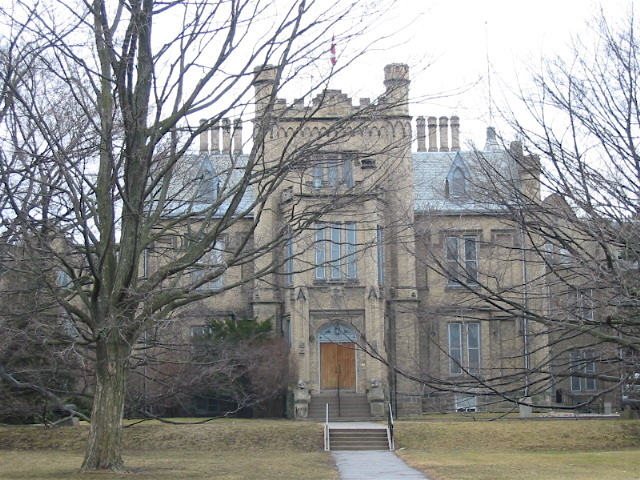 Since 1925 the college has been associated with the United Church of Canada. 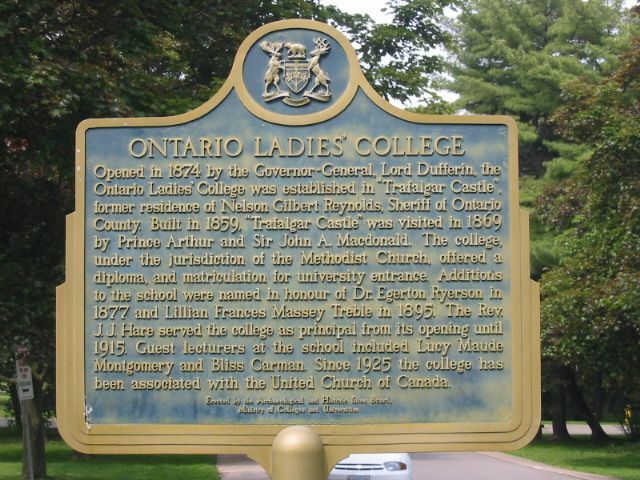 My great grandmother, Sarah Wightman Gairdner Moment, was a member of the first graduating class of the Ontario Ladies' College. She was born in 1844 in Newtonville, Ontario, which made her a rather old student. I guess her family despaired of her ever marrying and decided they'd better educate her. Then she married a lay Methodist preacher and the postmaster from Orono.